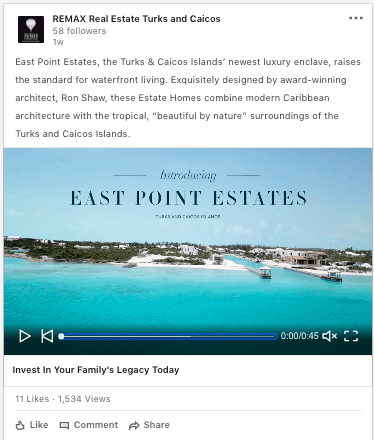 This month, Hughes Media built a robust digital strategy surrounding the launch of East Point Estates, a multi-million dollar luxury enclave in the Turks and Caicos Islands. By collaborating with the developer, Blair MacPherson, we were able to leverage the appropriate marketing channels for increased exposure to our defined target audience. The marketing materials utilized for the launch included, branding, website development, google map implementation, video editing, email marketing, press release distribution, and LinkedIn lead generation. 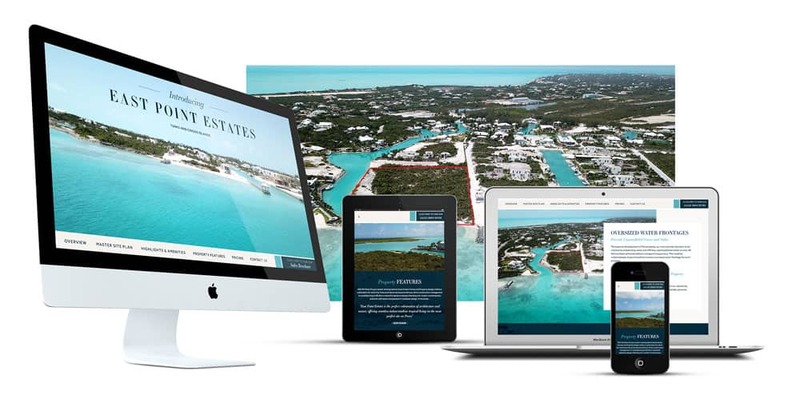 Hughes Media created a cohesive brand image for East Point Estates through consistent messaging and the use of cohesive graphic design elements across all channels. 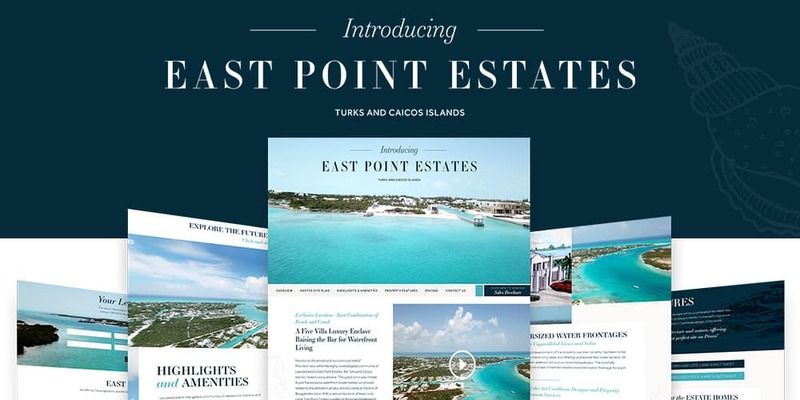 At the center of the East Point Estates campaign is a brochure website specifically developed for the launch. The goal of the website is to showcase the estate homes, inform prospective buyers about the details of the properties and collect leads. The East Point Estates video below is a compilation of various drone footage and imagery that crafts an informative narrative for those interested in the luxury estate homes. The website includes google map implementation that displays the location of East Point Estates relative to the rest of the island. For the launch, we drafted and distributed a press release announcing the launch. To view the release, click here. Hughes Media launched a LinkedIn ad campaign for the purpose of lead generation.